The 4th of July is right around the corner and everything is turning red, white and blue! Looking for inspiration in your own food creations? 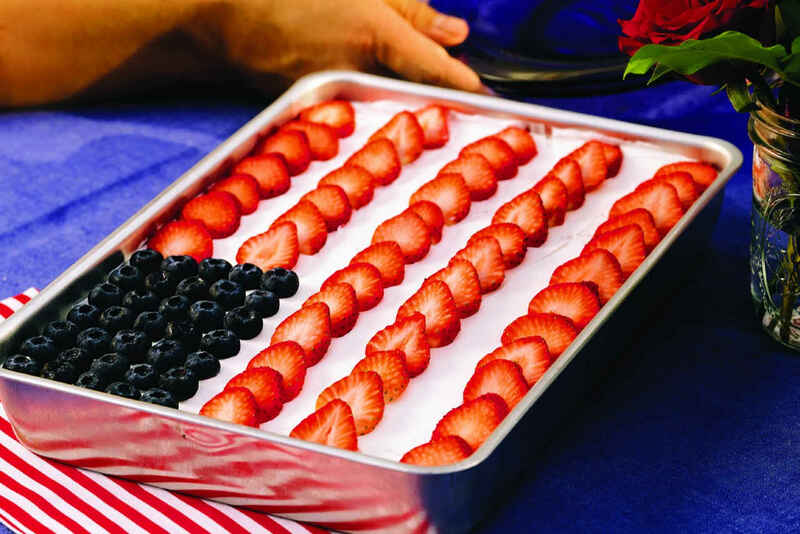 Kraft has sponsored this post to share with you the top 5 red, white and blue recipes. Sparklin’ Marshmallow RICE KRISPIES TREATS: Still have your star-shape Christmas cookie cutters hanging out in a drawer? Time to pull ‘em out. 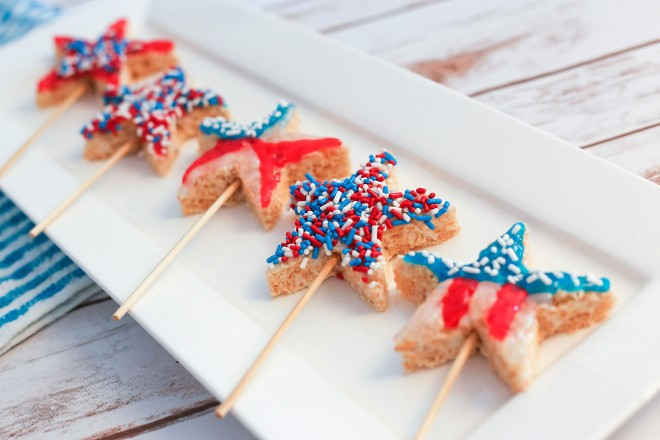 These super-cute pops are more method than recipe: Just stamp star shapes from a batch of RICE KRISPIES TREATS, skewer ‘em with a pop stick and go to town with the sprinkles and decorating gels. JELL-O No-Bake Mini Cheesecakes: Guests will have no clue these tiny treats require just four ingredients: margarine, sugar, milk and a no-bake cheesecake dessert kit. (Bonus: No-bake equals no hot kitchen…and that never sounds more appealing than in July.) 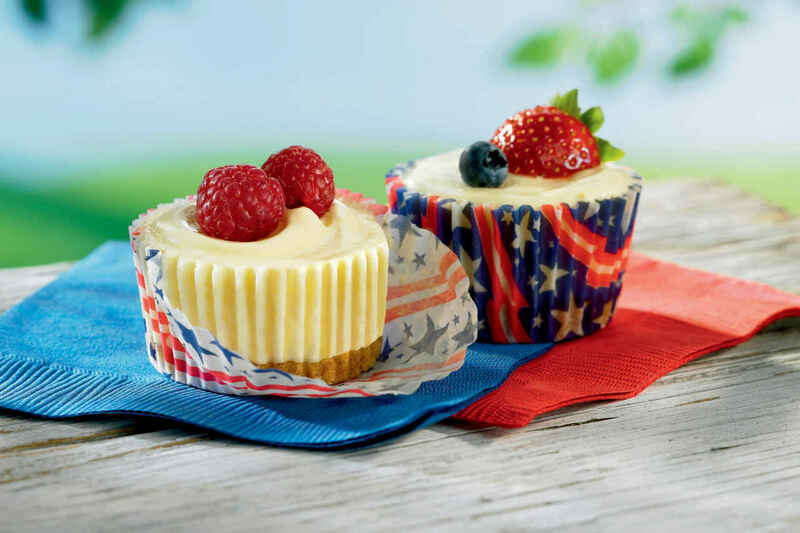 Dress up these adorable minis with star-spangled cupcake liners and ripe berries to end your Independence Day feast with a bang. 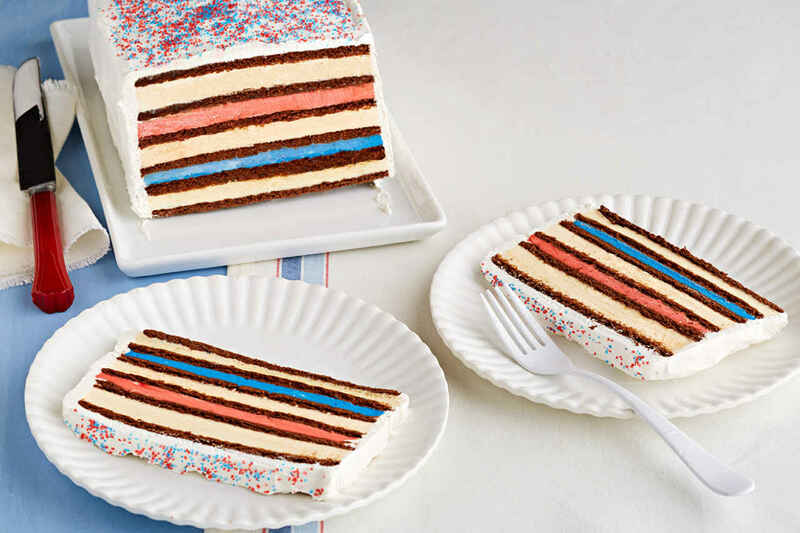 Red, White & Blue Ice Cream Cake: Three words spell out the secret to this low-maintenance ice cream cake’s gorgeously even layers: ice cream sandwiches. The two tinted layers (a combo of cream cheese, whipped topping and pudding mix) don’t take much time to create, either—the entire cake preps in just 15 minutes. Embarrassingly easy and stunning? That’s my kind of dessert! Flag Cake: It’s a July 4th classic! And this four-ingredient no-bake beauty is probably the easiest version you’ll find, courtesy of frozen prepared pound cake. Just thaw the cake and snug slices into a 13×9-inch pan, then scatter blueberries and sliced strawberries over the top. A quick application of whipped topping forms a pearly white background; arrange a final layer of fruit for the iconic stars and stripes. 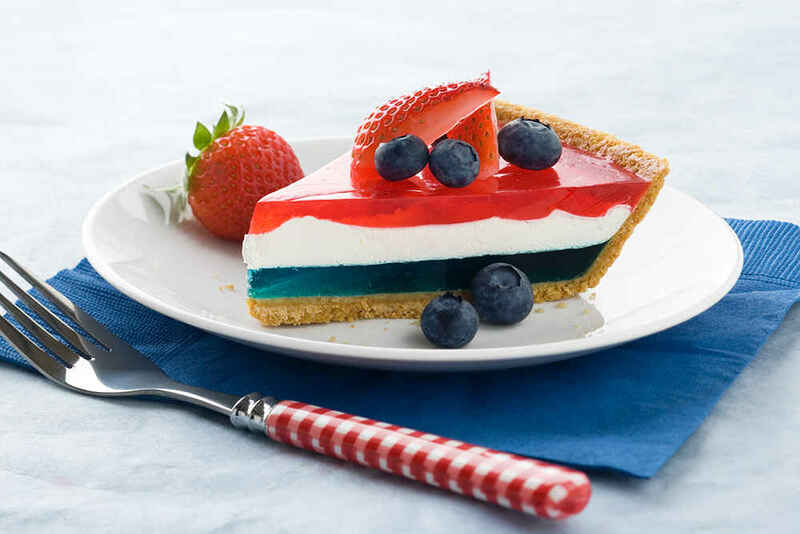 JELL-O Easy Patriotic Pie: Sure, you could crown gelatin with a dollop of whipped topping…but isn’t it prettier when sandwiched in the middle? This easy pie practically makes itself, too. Just a little mixing, chilling and spreading, and 20 minutes later, you’re sliding the finished pie into the fridge. Serve with berries for additional blue and red oomph.